Range Rover Sport Offside Rear Light Cluster XFB000662In good used condition with no cracks or damag.. Range Rover Sport Offside Rear Light Cluster XFB00.. Range Rover Sport Offside/Drivers Side Front Top Wish Bone With Bolts RBJ500840Good used working con.. Range Rover Sport Offside/Drivers Side Front Top W.. Range Rover Sport Offside/Drivers Side Rear Light XFB000662 #1Good used working conditionSome scratc.. Range Rover Sport Offside/Drivers Side Rear Light ..
Land Rover Range Rover Sport Positive Lead in good used condition Code YTA500520 please ensure .. Range Rover Sport Positive Lead YTA500520Good used working conditionPlease check current part number..
Land Rover Range Rover Sport Power Steering Pump QVB500620Please enusre you have checked and matched.. Range Rover Sport Radio Isolator And Decoder XUI500071Good working used condition,30 days warranty.. Range Rover Sport Radio Isolator And Decoder XUI50.. Range Rover Sport Rear Air Bag Strut 05-09 RPD500890Good Working Used condition30 days parts warrant.. Range Rover Sport Rear Air Bag Strut 05-09 RPD5008.. Range Rover Sport Rear Boot Floor Board LCF010540 / EA5500023PUSGood used condition,No damage to tri.. Range Rover Sport Rear Boot Floor Board LCF010540 .. Range Rover Sport Rear Boot Roof Speakers And Covers XQM000400Good used conditionRemoved from roof o.. Range Rover Sport Rear Boot Roof Speakers And Cove.. Range Rover Sport Rear Light XFB500340Small crack in light as shown in photoWill fit Range Rover Spo.. Range Rover Sport Rear Light XFB500420Good used conditionWill fit 05-09 Range Rover Sport.. Range Rover Sport Rear Nearside Left Door Loom YMM502810Good used conditionNo damage to Loom Or Plug.. Range Rover Sport Rear Nearside Left Door Loom YMM.. Range Rover Sport Rear Spoiler and Brake Light DFD000223 & XFG000071Good used working Condi.. Range Rover Sport Scissor Jack And Tool Storage Boot Insert KBE500090Good used conditionNo damage to.. Range Rover Sport Scissor Jack And Tool Storage Bo.. 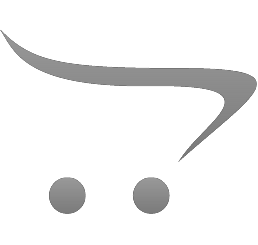 Range Rover Sport Scissor Jack Kit KAL000023 KAJ500122Good used working conditionKit included:Scisso.. Range Rover Sport Scissor Jack Kit KAL000023 KAJ50..
Land Rover Range Rover Sport Screen Wash Reservoir DMB500030In good used conditionFree UK Mainland d..
Land Rover Range Rover Sport Screen wash reservoir neck DMF000021In good used condition with free UK.. Range Rover Sport Screen Wash Reservoir Neck MDMF0.. Range Rover Sport Steel Engine Undertray.. 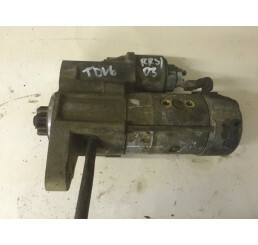 Range Rover Sport Steering Column QMB500760Good used condition,Complete steering column as shown in .. Range Rover Sport Steering Wheel With Buttons QTB502030PVJGood used conditionComplete with buttonsSo.. Range Rover Sport Steering Wheel With Buttons QTB5.. Range Rover Sport Steering Wheel With Controls #4Good used conditionSome marks from useAs shown in p.. Range Rover Sport Tailgate Molding in Buckingham Blue DRC500011As shown i photo this is in goo.. Range Rover Sport Tailgate Trim ESB500010..
Land Rover Range Rover Sport TDV6 Fly Wheel Auto 4R836375In good used condition works as it should.F..
Land Rover Sport TDV6 Fuel Filter HousingIn good used condition works as it should.Free UK Mainland ..
Land Rover Range Rover TDV6 Power Steering PumpIn good used condition works as it should.Free UK Mai..
Land Rover Range Rover Sport TDV6 Starter Motor NAD500080In good used condition Free UK Mainlan..
Land Rover Range Rover Electrics YMZ500532AIn good used condition works as it should.Picture to Foll..
Land Rover Range Rover Sport Tow Bar Electrics YMZ500740AIn good used conditionFree UK Mainland Deli.. Range Rover Sport Transfer Box Control Module NNW504660In good used condition and works as it should.. Range Rover Sport Transfer Box Control Module NNW5..
Land Rover Range Rover Transmission LoomCode YMD504640APlease ensure the code matches before orderin.. Range Rover Sport Vibration Dampener Rear KVF500451Good used conditionComplete with bracket.. Range Rover Sport Vibration Dampener Rear KVF50045.. Range Rover Sport Wiring Loom YMG503850Good used conditionNo damage to plugs or cables,Removed from ..